Do you live in a small town in the U.S., or perhaps even overseas? Perhaps you assume that far-away regional markets for writers would never be interested in your work…because you’re not local. But, if you study some of those market listings, you might be pleasantly surprised! Many don’t care where their writers live as long as they can turn in a good piece on time, and give it a regional slant. With the Internet and a good cell phone, and long-distance sources who are usually more than happy to provide you with high-quality photos on request, you can interview anyone, anywhere, and “regionalize” your piece! In some cases, for “regional” publications that buy fiction, poetry, prose, or general business articles, you won’t need to regionalize at all! If you concoct a great story idea in advance, and lock down a date for a future (phone or Skype) interview with a great source in the publication’s region, your chances of landing that contract are even greater! Better still, some regional publications are interested in not only local stories, but general business, health, home life, and other features as well. Some, like Provincetown Arts below, even buy fiction. Two others, also featured below, buy prose and poetry. So, don’t let a place name in a Regional magazine, website, or blog dissuade you from taking a better look. You just might find a new, long-term client. Check out these “regional” paying markets for writers! Pays $30/page for poetry; $25/page for prose. Prose is paid at $50 per printed page; poetry is paid at $4/line. Pay for features starts at $350. Pays $100-$400 + extra for photos. Nightlife, sports, drinks and spirits, entertainment, home, fashion, lifestyle, arts and culture, weddings, brides, dining, food, kitchen, food trends, and more. Pays flat fee of $50 for up to 800 words. Find MANY MORE paying regional market for writers (and other publications as well!) RIGHT HERE. 11 Paying Seasonal Markets For Writers + Holiday Money-Making Tips! 10 Paying Pet Markets For Writers! 7 Paying Markets For Theme-Specific Essays! Use Magazine Vendor Websites To Find New Paying Markets For Writers! 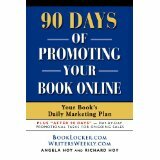 Yes, online book promoting can be EASY and FUN! Let us show you how, from Day 1 through Day 90...and beyond!WINTER, 2017 CONTEST. One Response to "Not Local? No Problem! 18 Regional Markets That Pay NON-LOCAL Writers! by Angela Hoy"
Thank you for supplying the information and for doing the research!